The Star HSP7000 printer is a combination slip and receipt printer that combines the speed of the Star TSP100GT for receipt printing and the reliabilty of the Star SP700 for slip printing. The thermal receipt printer features "Drop-In & Print" paper loading plus print speeds of 250mm per second. The slip printer is capable of printing both cheques and slips (original plus two copies) at a speed of 8.9 lines per second. 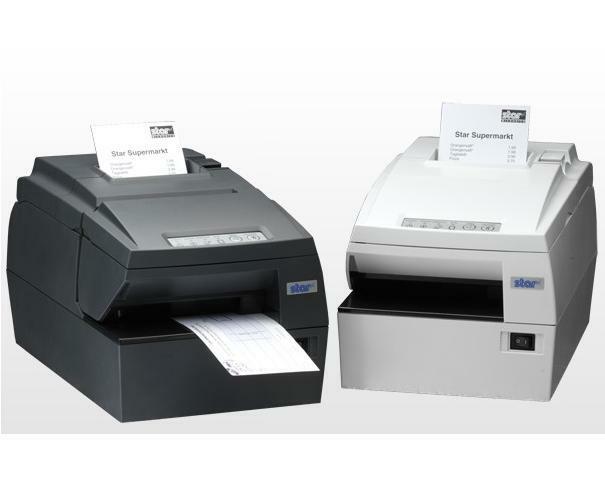 The Star HSP7000 can be used for a wide range of applications including traditional EPoS plus a unique pharmacy label printing/prescription verification application. Both Star and Epson (ESC/POS) emulations are standard, with the slip printer making it ideally suited for DIY retailers etc.